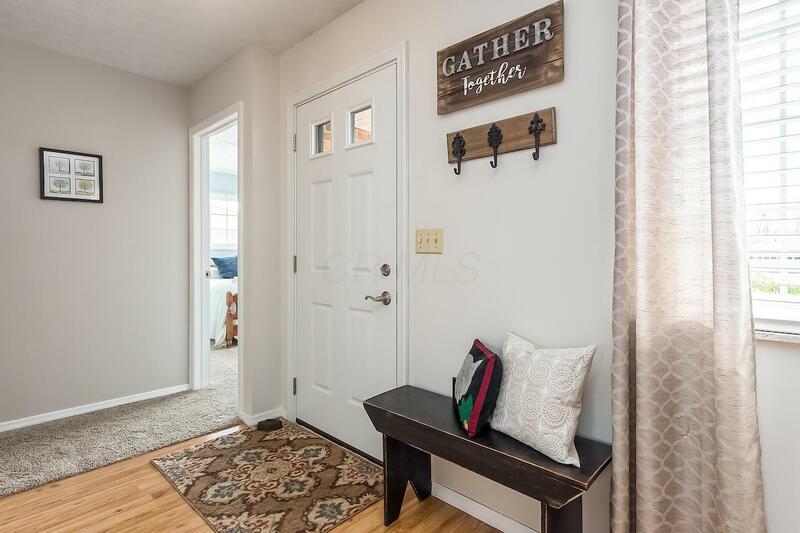 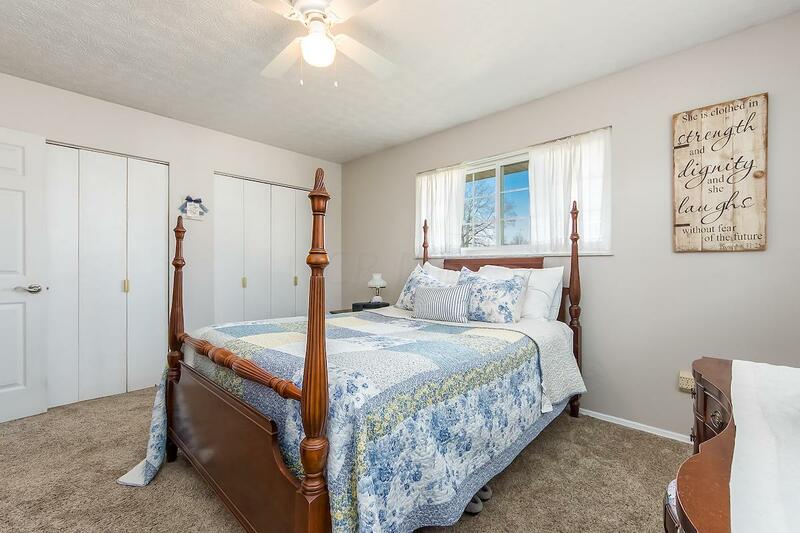 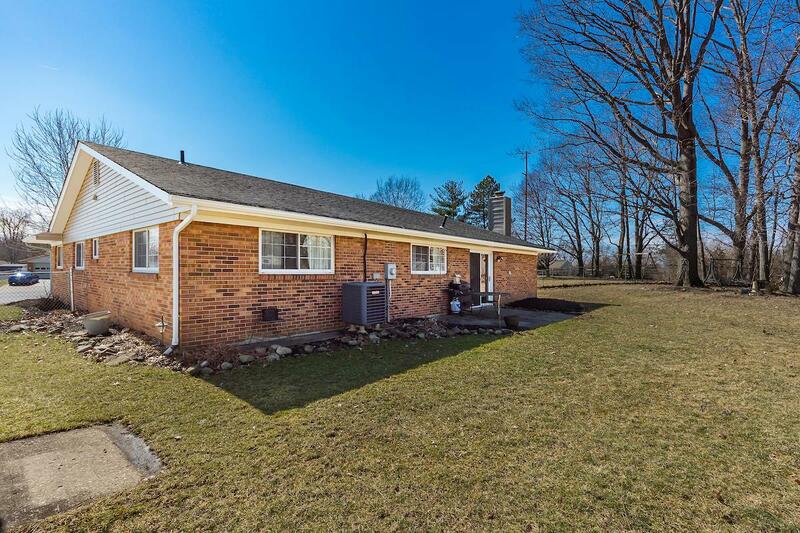 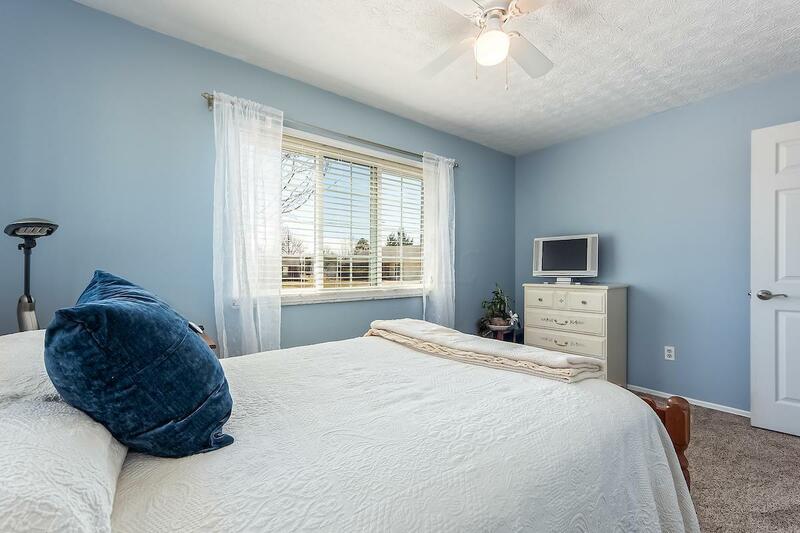 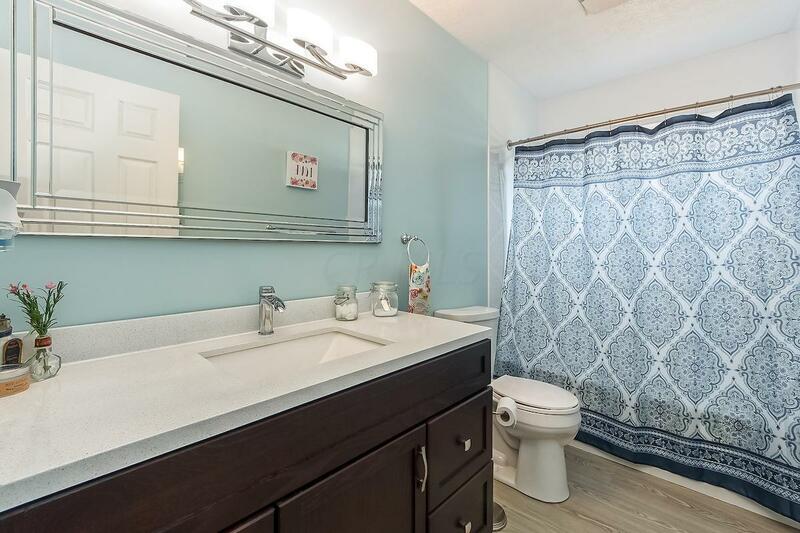 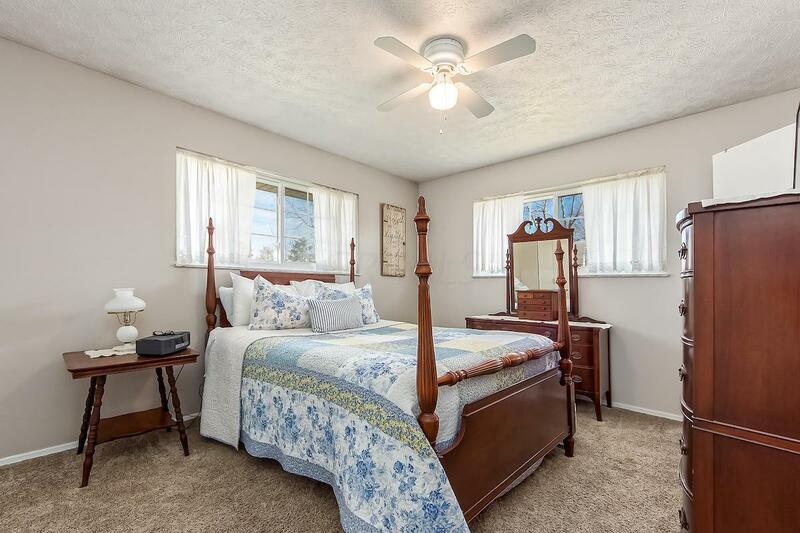 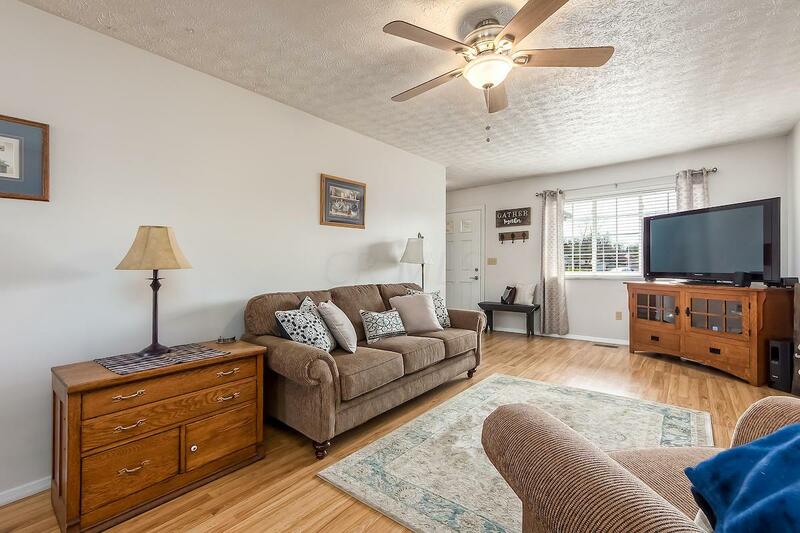 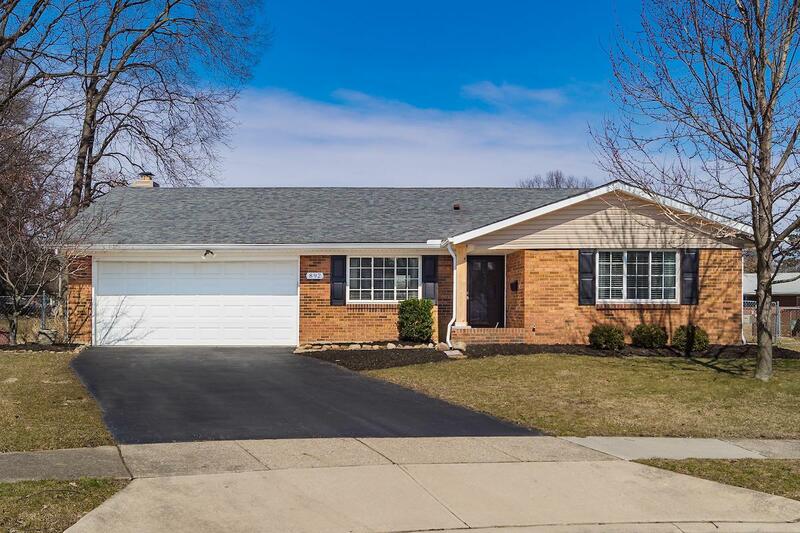 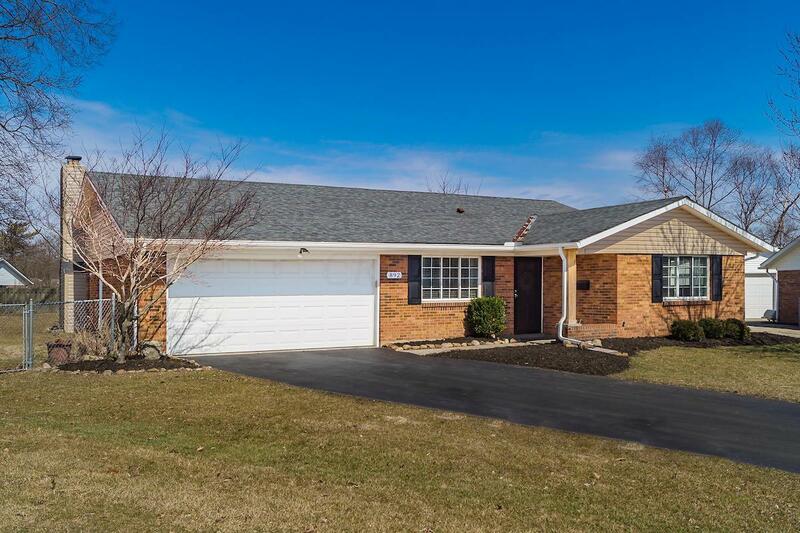 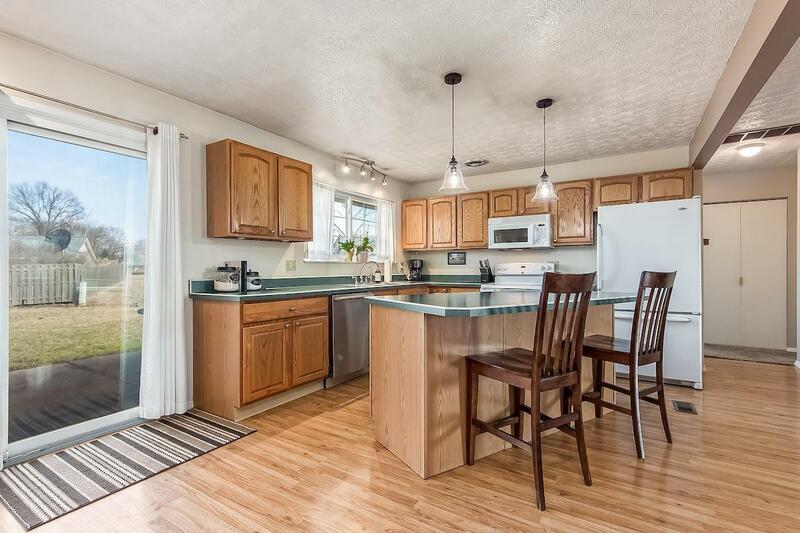 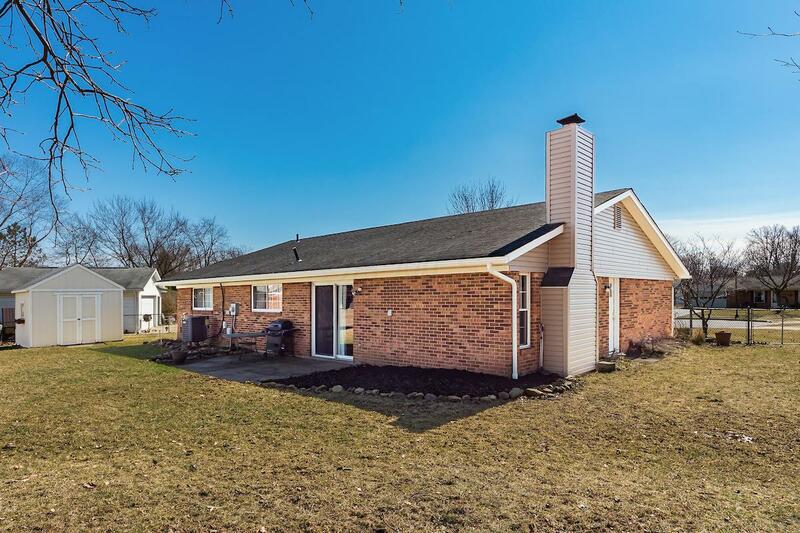 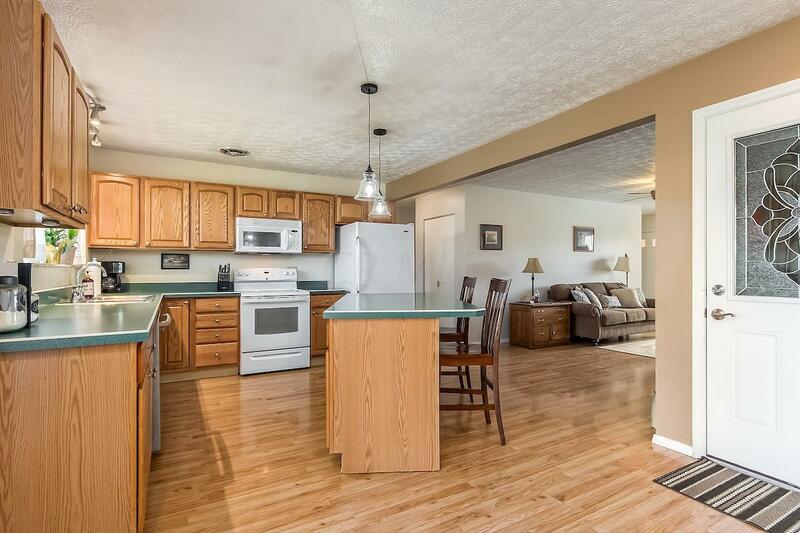 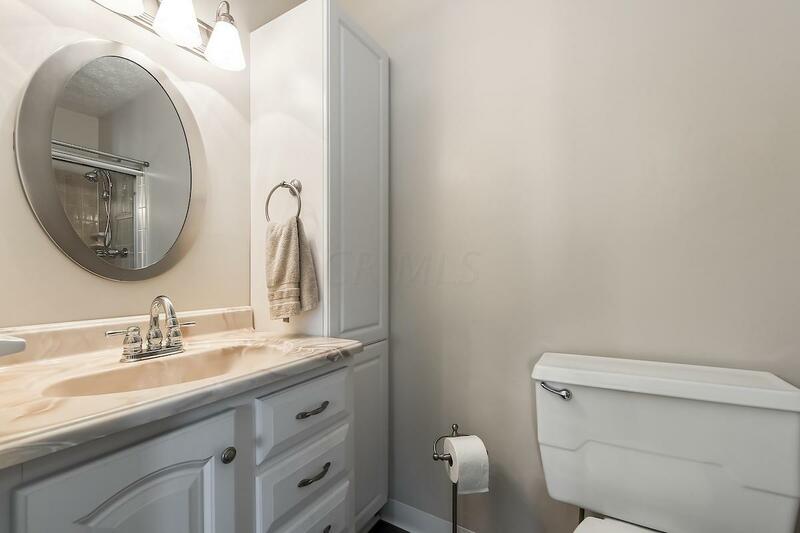 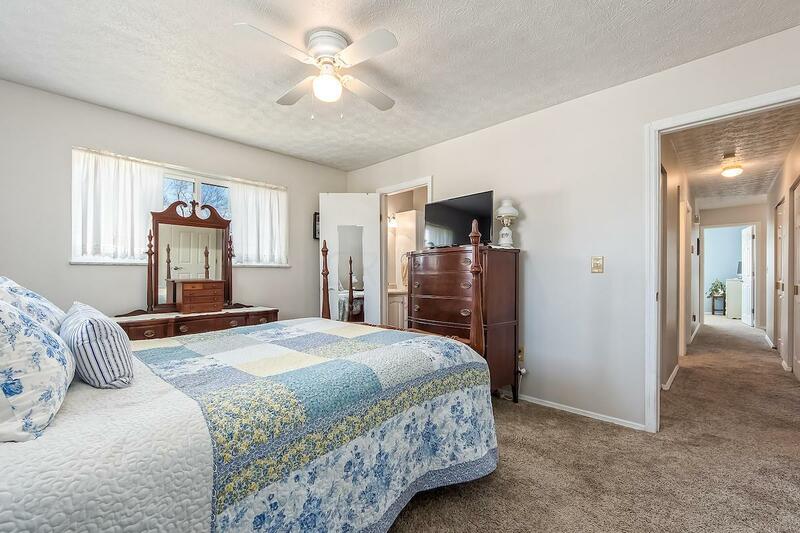 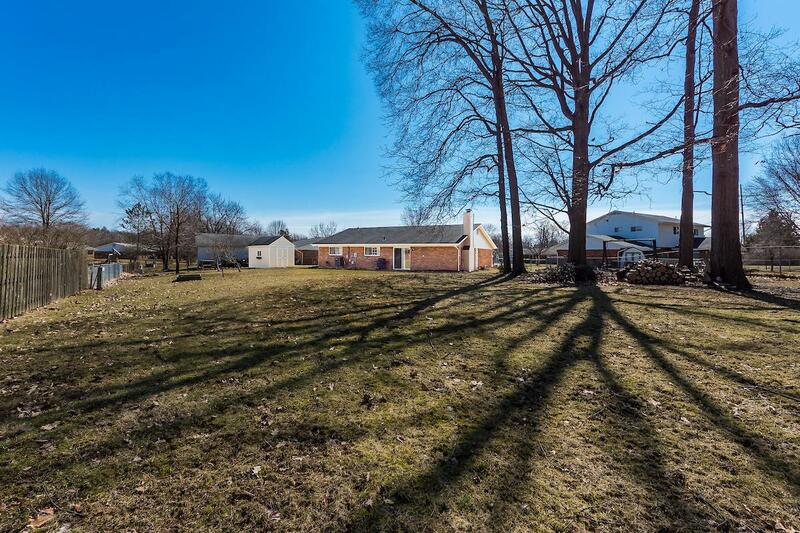 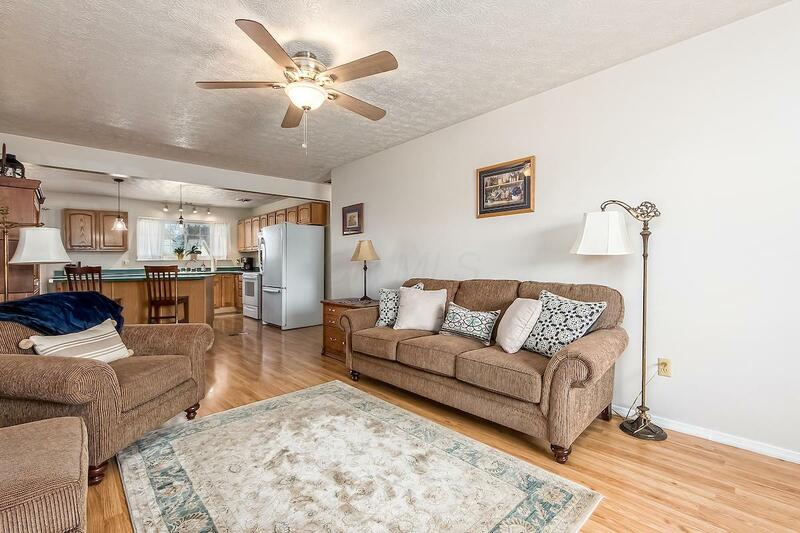 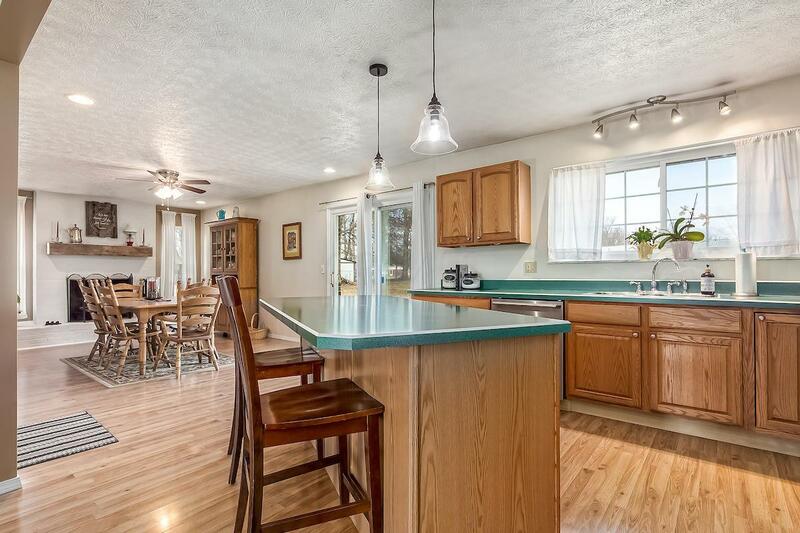 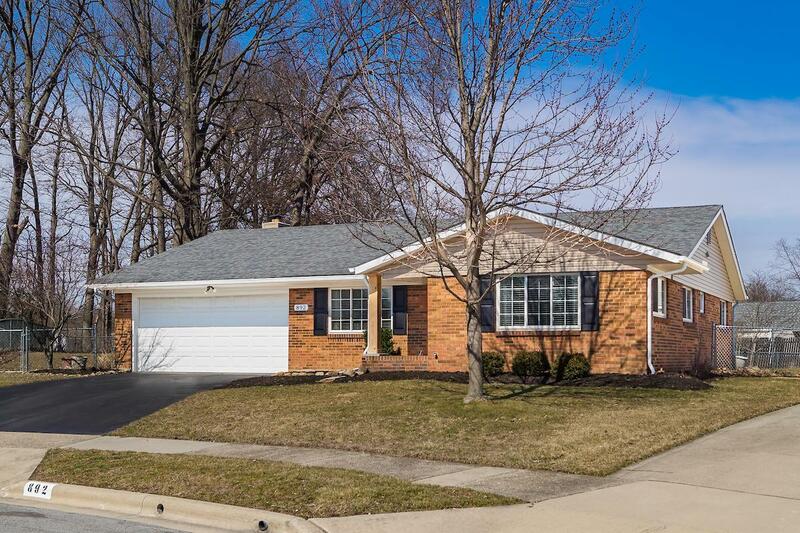 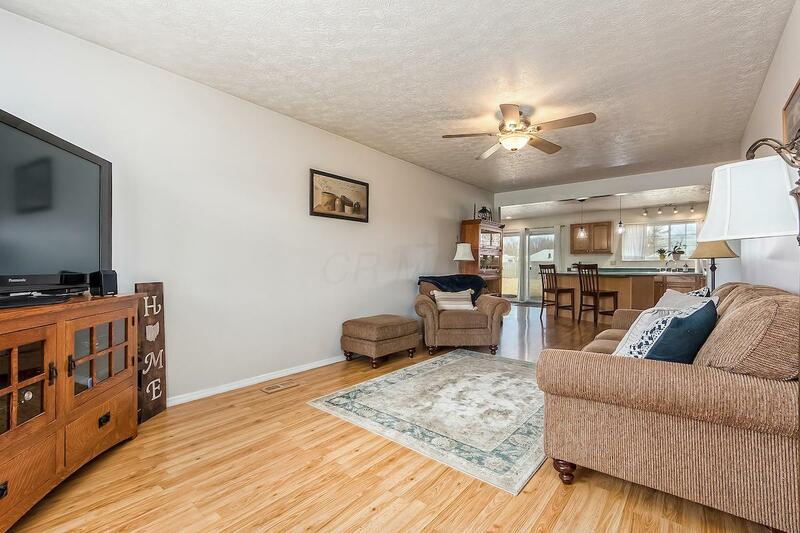 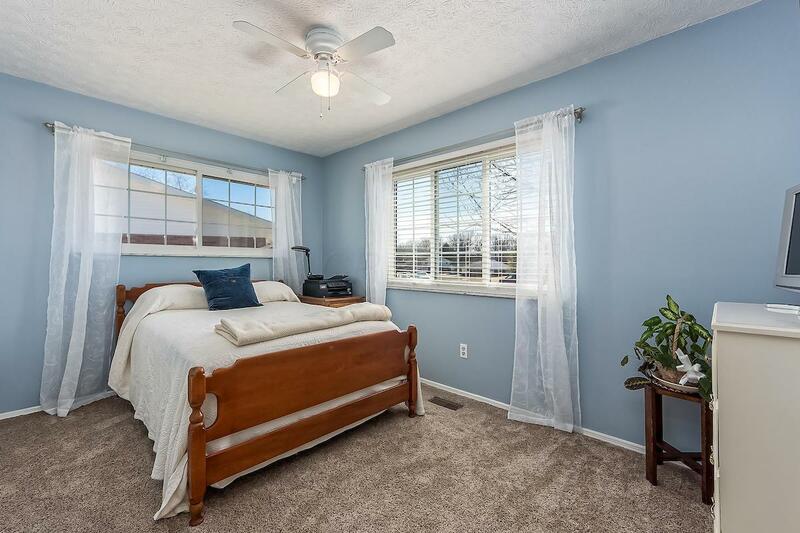 Open layout and all neutral decor in this 3-bedroom home in Westerville! 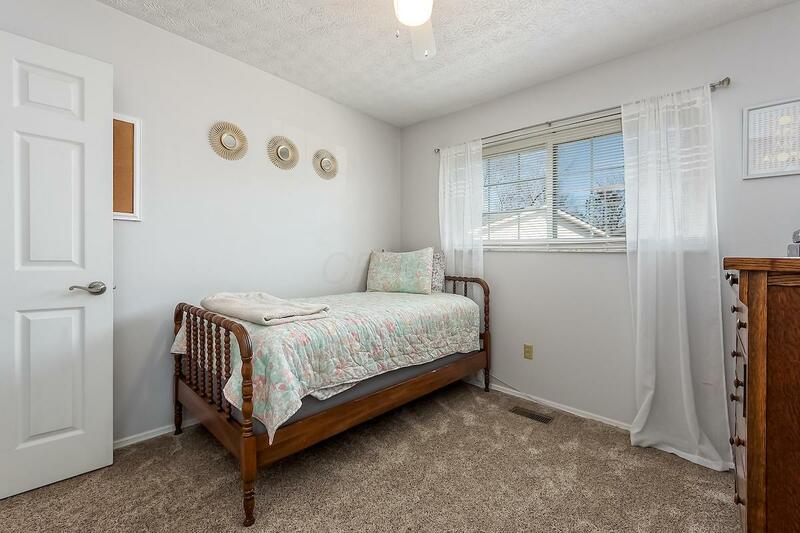 White woodwork and trim, large front window and ceiling fan in living area. 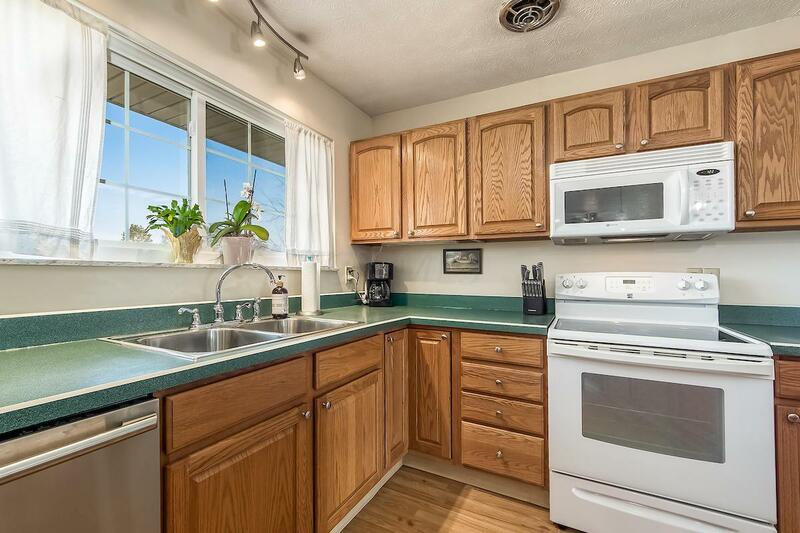 Updated lighting in the eat-in island kitchen as well as stainless dishwasher. 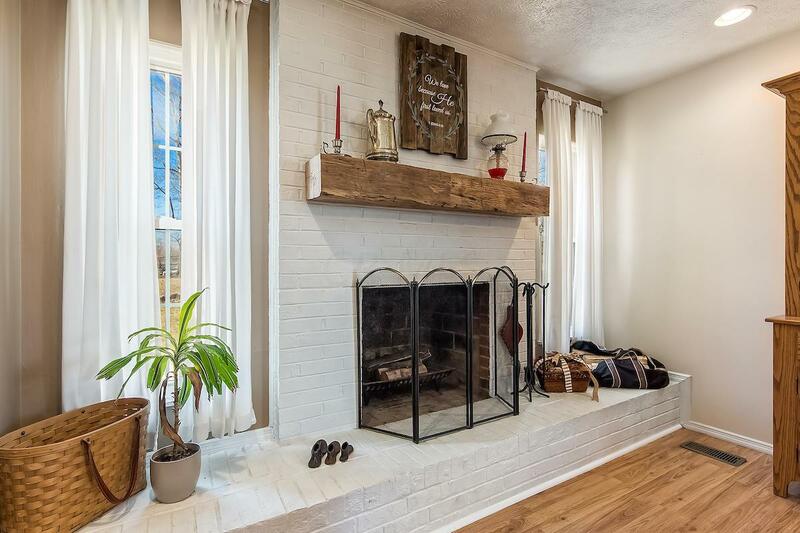 Great dining area with fireplace: rustic wood mantle and raised hearth; sliding patio door opens to patio area. 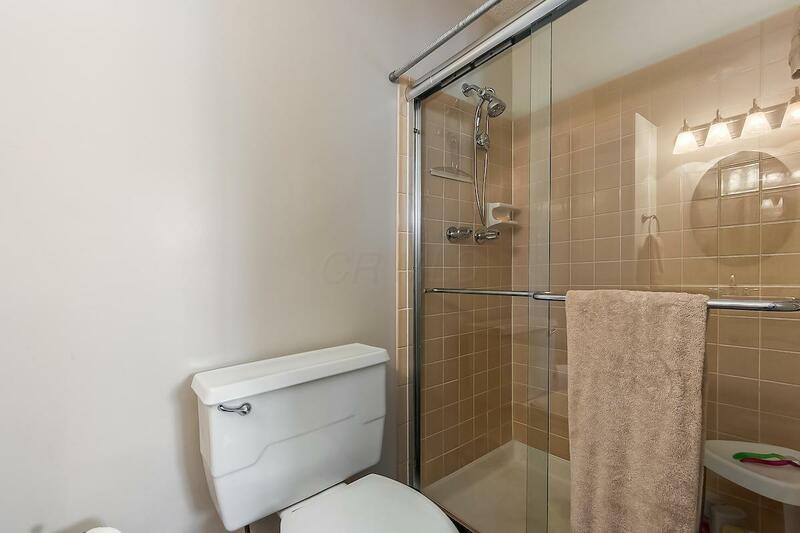 Roomy Owner's BR has double closets and private updated bath. 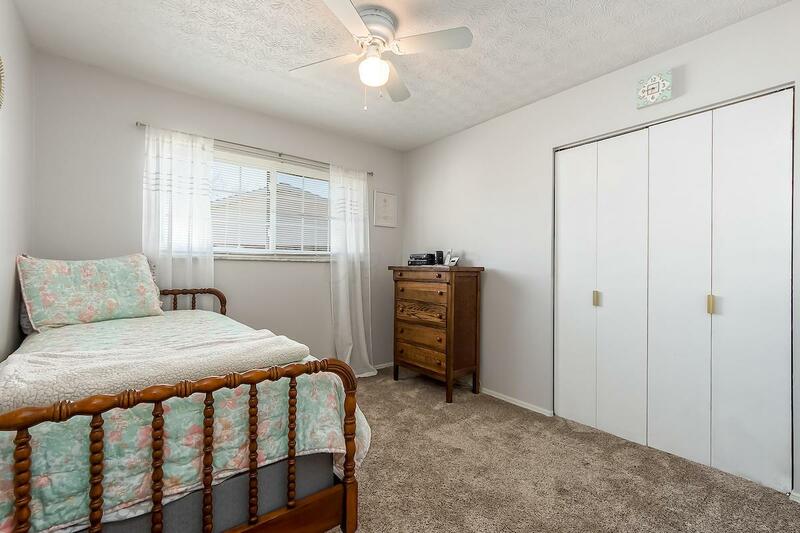 Two other nice bedrooms. 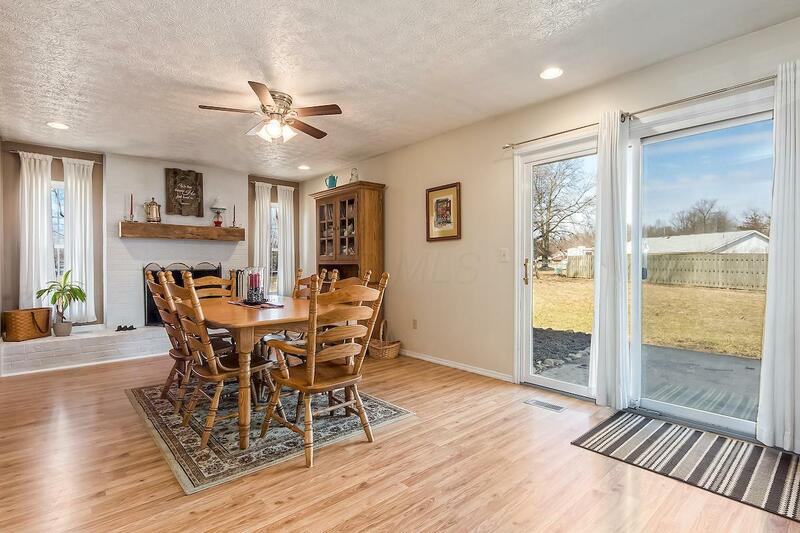 Lots of natural light in this house! 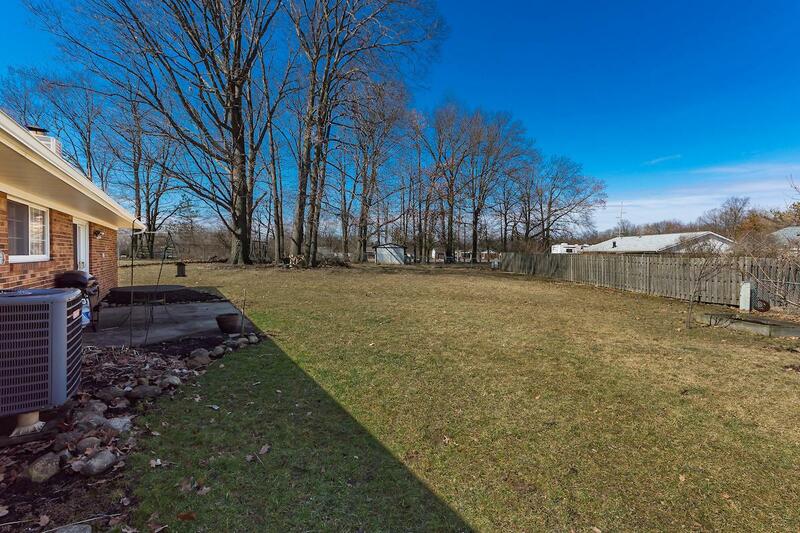 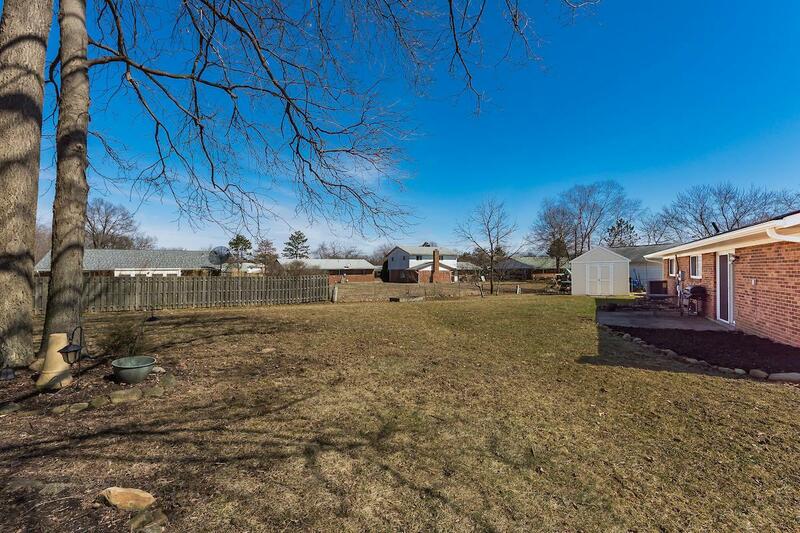 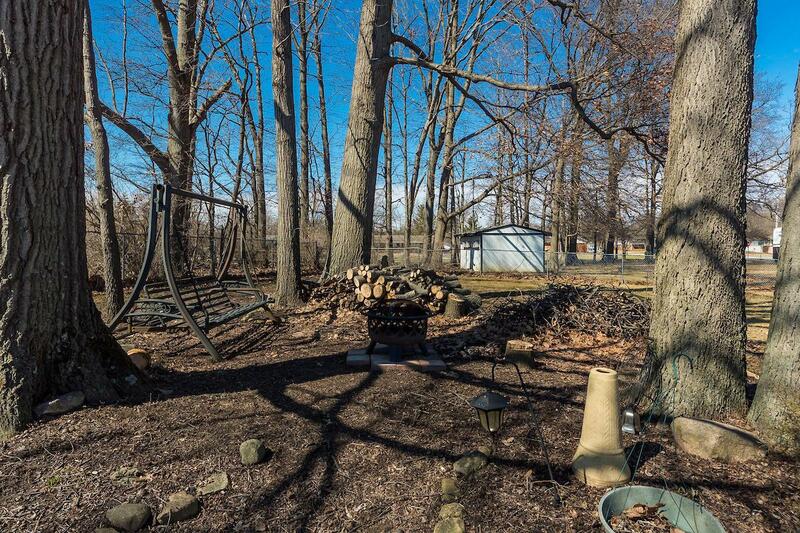 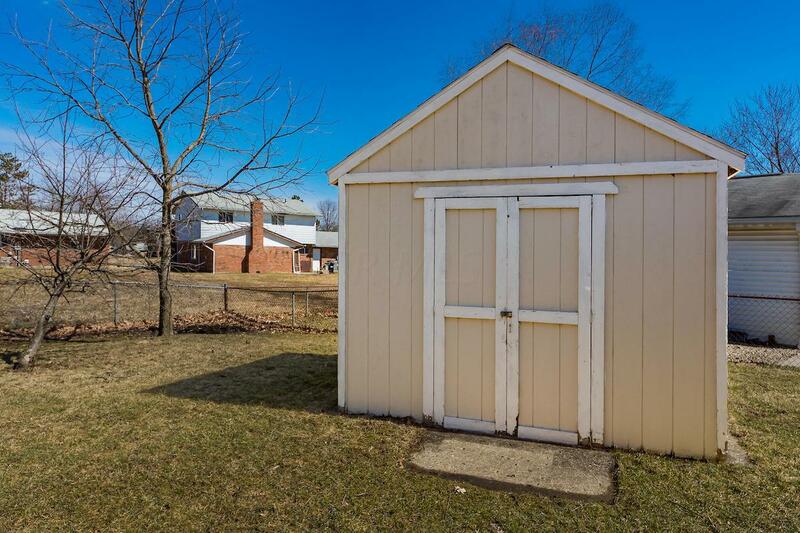 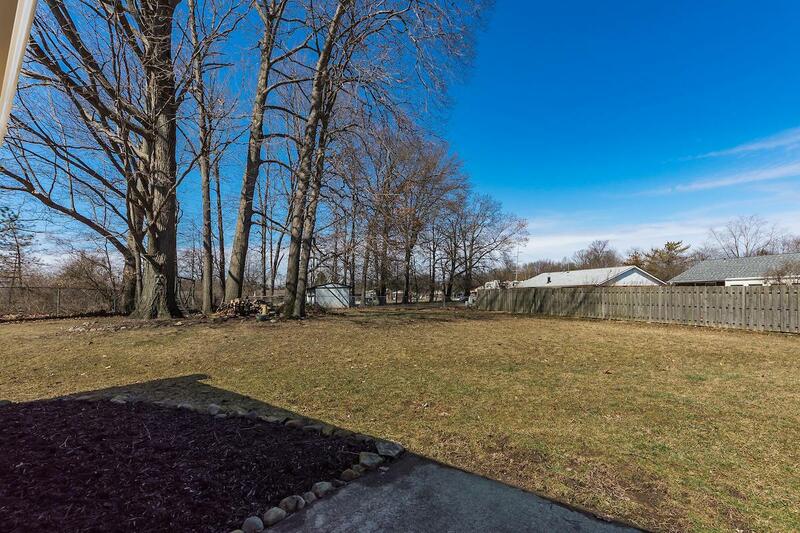 Storage shed, large rear yard, mature trees, great firepit area at back of property.